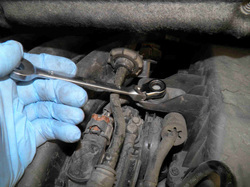 All you need is a Philips screwdriver or a star key. 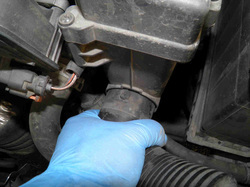 A slotted screwdriver will be needed in case the air filter box is to be taken out or an air hose disconnected. 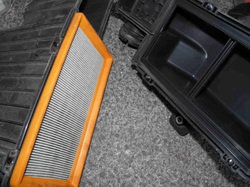 1- On older engines, the air filter could be changed most of the time without tools. 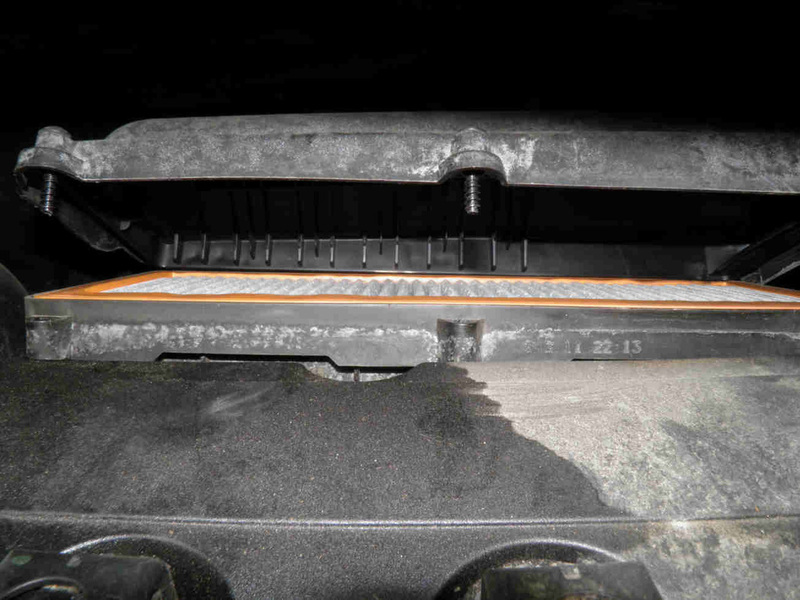 2- The air filter cover was simply held in place with steel clips. 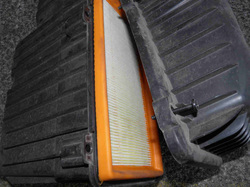 Remove the used air filter which should not be dirtier than the one shown here. 3- Insert a new one and put the clips back in place. 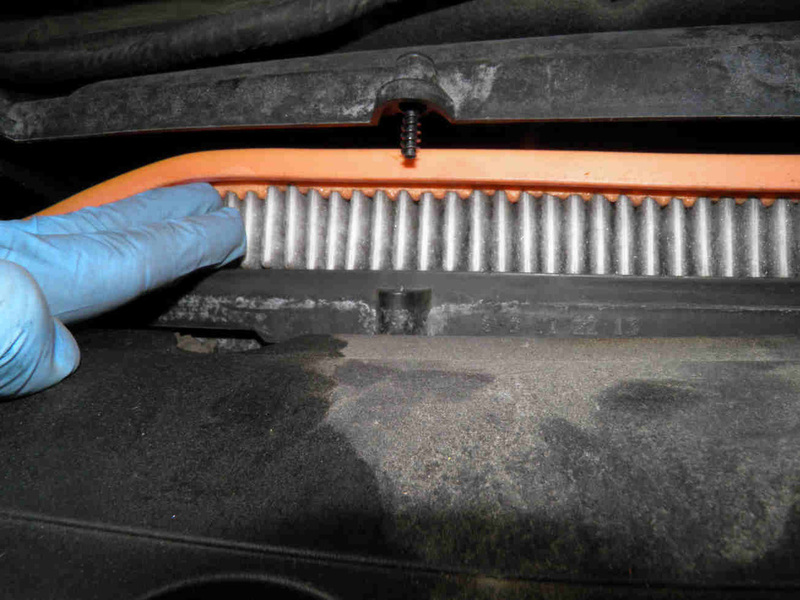 1- The air filter box is fitted next to the engine in this newer vehicle. 4- Remove the bolt that holds the filter box in place. 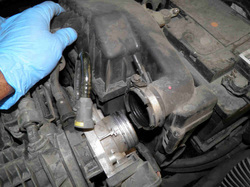 7- Unscrew the cover and remove the old filter which should not be dirtier than the one pictured here (10,000 km). 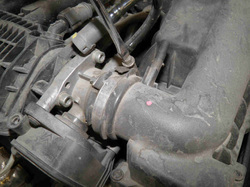 2- Unplug the bottom hose by rotating it to the right and pulling it out. 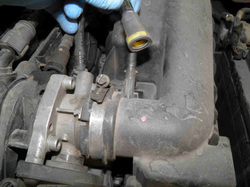 5- Unscrew the clamp of the upper hose. 8- Insert the new one taking care to push well the orange gasket into its seat. Close the cover and reassemble. 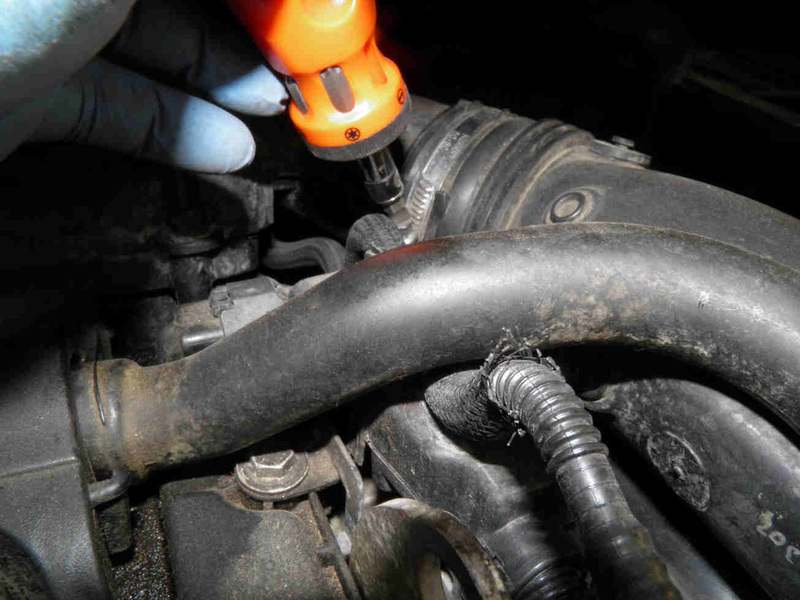 3- Unplug the oil vapor return hose. 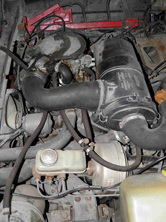 6- Take the air filter box out of the engine compartment. 1- This one is more difficult to reach but can still be changed in a minute. 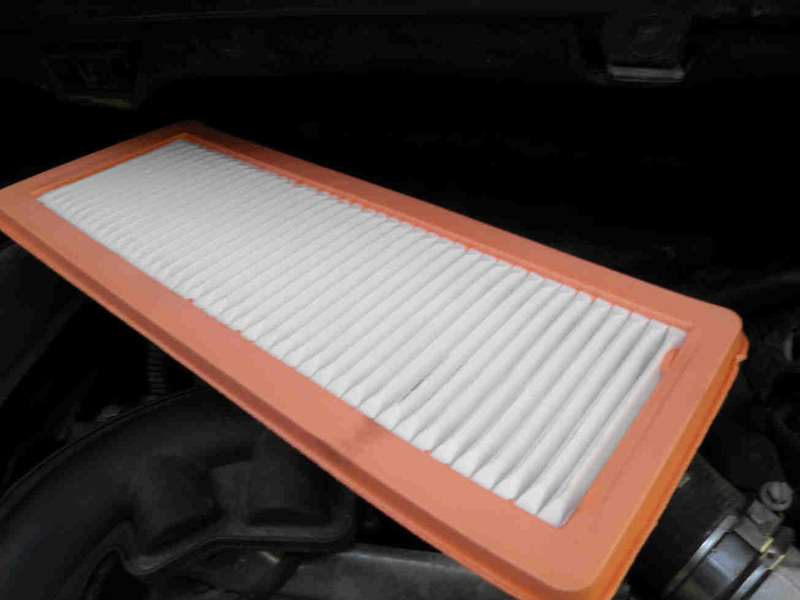 4- The air filter can now be seen inside. 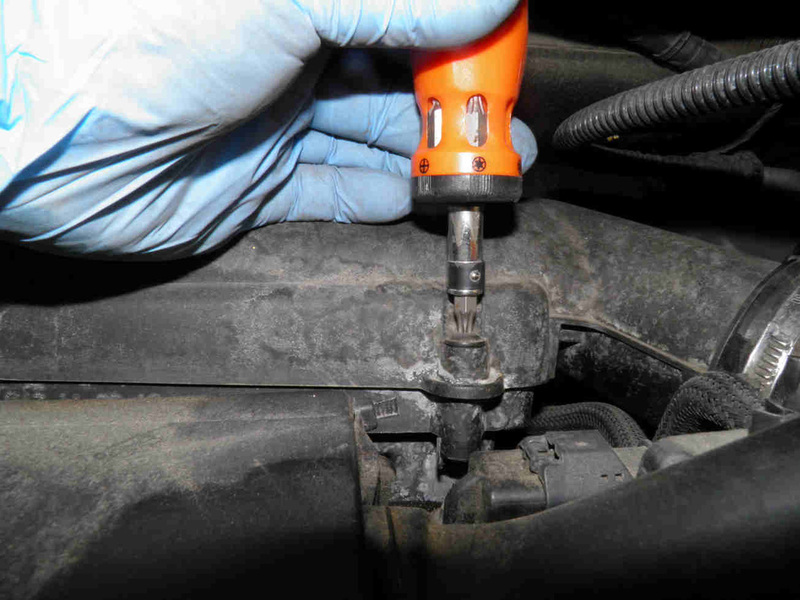 2- Use a short ratchet handle screwdriver to drive out the three screws. 5- Take it out. This one served 10,000 Km. 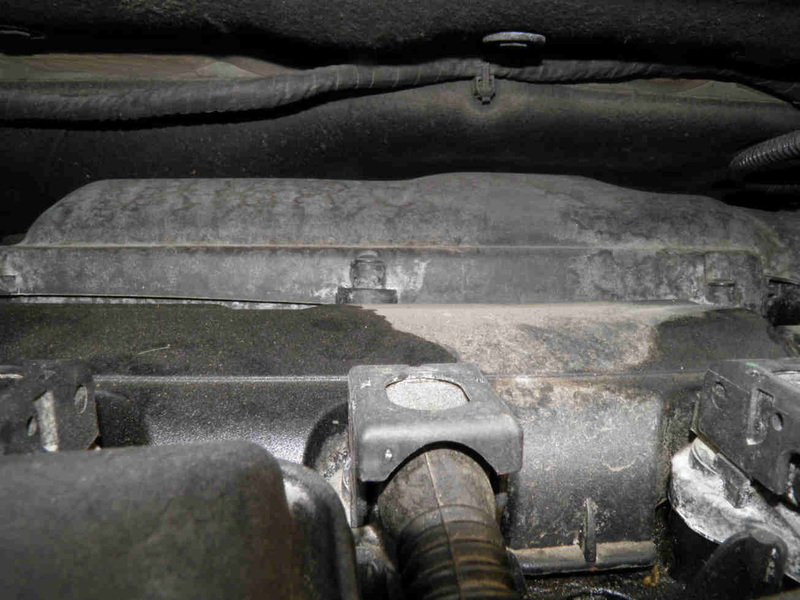 3- Unscrew the air hose and pull it out of the cover. 6- Replace it and reassemble.